Grisly Accident along Limuru road in Gigiri – Kenyatta University TV (KUTV). All Rights Reserved. Three people died on the spot today morning while several others were rushed to the Kenyatta Nation Hospital after three matatus collided on Limuru road in Gigiri, Nairobi. 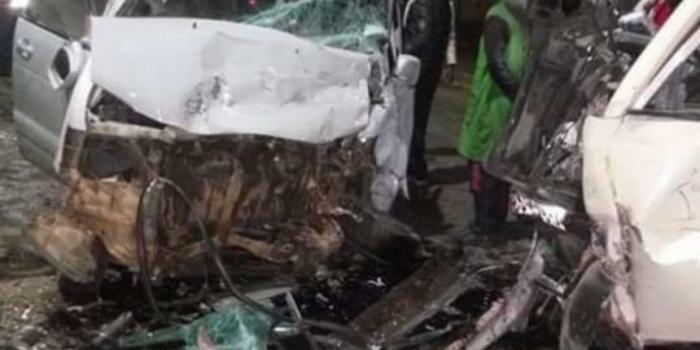 Reports say that five of the victims were taken to Kenyatta National Hospital in critical condition.The accident happened at around 5.00am prompting police to move in and control traffic on the busy road. According to statistics by the National Transport and Safety Authority, the number of people killed and injured in road crashes in Kenya shot up by 45 percent between January and March 2016 compared to the same period in 2015.